While we try to make doing business with us as easy and enjoyable as possible, the startup process is where we really shine. Why? Because this is the time where our brand of personal, extremely detailed attention is indispensable. This is also the time when you first learn what we mean by flexibility and experience our dedication to providing the services that your unique situation requires. Whether you are finally moving out of a self storage unit or moving a warehouse full of files to our records center, we have “been there, done that” for every conceivable scenario. But of course, we know that yours will be unique, and that's where our flexibility comes in. If you have not yet had a chance to discuss your records management needs with us, and would like to receive a quote, click here. Next, we will send you an agreement that spells out our responsibilities and yours. Then we will schedule a time convenient to you to pick up your inventory. Depending on the quantity, we may pick up your boxes in our regular route truck, or we may palletize, stretch wrap and transport them on our 24-foot bobtail truck. If you have a very large quantity of boxes, we may even move them with a tractor-trailer. All boxes are barcoded for traceabililty. As your boxes enter our facility, we create a new index or use your existing index to associate a barcode with the box and a description of its contents. Finally, your boxes are placed on purpose-built records storage racks, each box associated with a barcoded rack location in our records center. The storage locations are chosen randomly, and boxes are identified only by barcode, so no one can tell whose boxes are stored where. That information is held in our secure software. 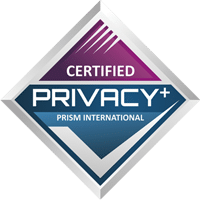 We will ask you which individuals in your company are authorized to access and retrieve your files, and we strictly maintain that confidence. Only authorized individuals can retrieve files by email, fax or phone. You no longer have to worry about your documents and records. We pick them up, index them, store them, and bring them back to you when you need them. What could be easier?